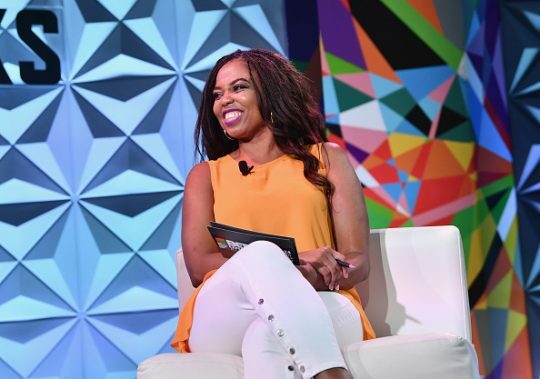 The Atlantic staff writer Jemele Hill, who left ESPN amidst controversy last summer, tweeted a joke during the State of the Union address about President Donald Trump being assassinated. Comedian Desus Nice joked during the Wednesday address that Democratic Rep. Alexandria Ocasio-Cortez (N.Y.) should've yelled "whose mans is this," an expression to express bewilderment at someone making a fool of themselves. 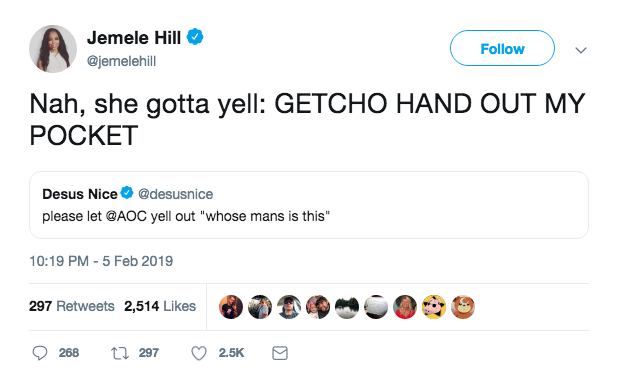 "Nah, she gotta yell: GETCHO HAND OUT MY POCKET," Hill responded in a now-deleted tweet. "Get your hand out of my pocket" is a reference to the assassination of Malcolm X. A man in the audience yelled the phrase, drawing security away and allowing one of the Nation of Islam conspirators to shoot and kill the black nationalist leader. Hill was hired by the Atlantic after leaving ESPN amid a contentious relationship with management. The former "SportsCenter" co-host was suspended by the network after twice violating ESPN's social media guidelines, when she tweeted that Donald Trump was a white supremacist and called for a boycott of the Dallas Cowboys. Hill's hiring came months after the Atlantic fired conservative columnist Kevin Williamson after only two weeks on the job, in part because of a series of tweets saying he believed abortion should one day be punished with the death penalty. This entry was posted in Politics and tagged ESPN, The Atlantic. Bookmark the permalink.